The popular Tandoori chicken recipe is one of the favorite chicken dish for most of the non-vegetarians. Here the chicken pieces are marinated with a mixture of yogurt and spices. The yogurt acts as a tenderizer and the chicken becomes so juicy and yummy. 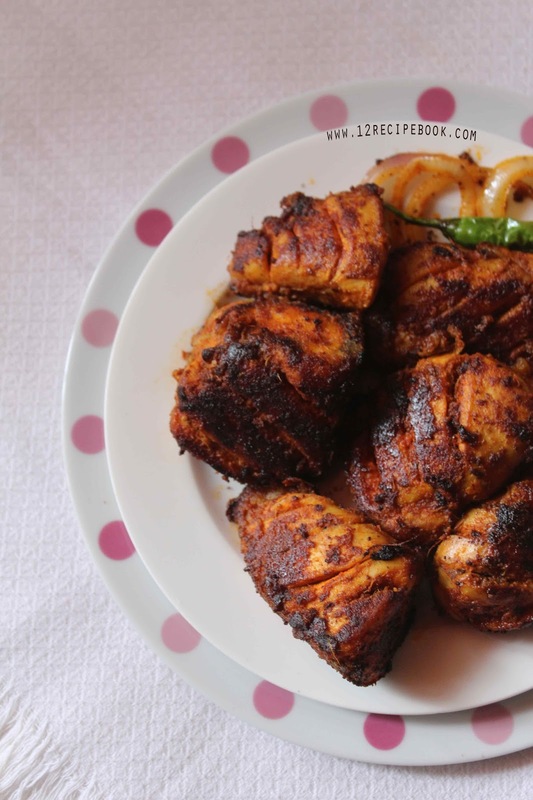 These tasty tandoori chickens are served along with slices of lemon, masala onions and mint chutney. 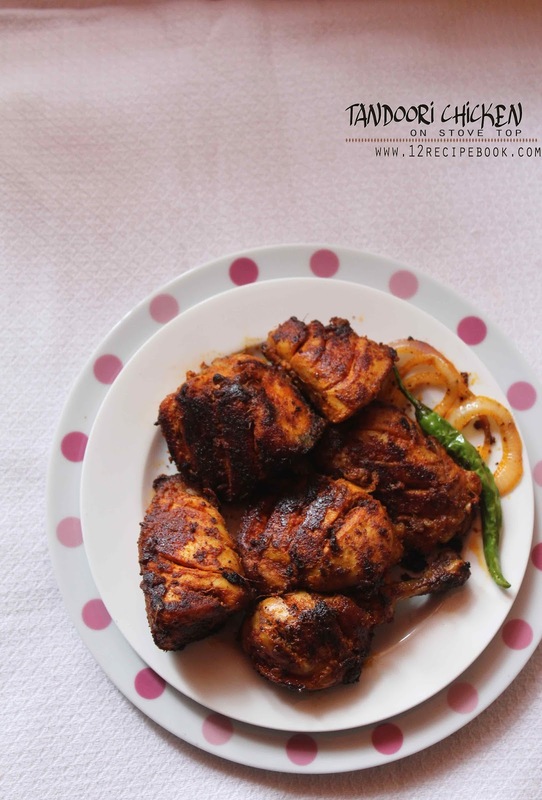 Here is the recipe of delicious tandoori chicken on a pan. Clean and wash the medium sized chicken pieces. Pat them dry with a kitchen towel. Make large slits on the chicken pieces using a sharp knife. Mix all the ingredients for marination (ingredients from 2 to 8) in a large bowl. Add the chicken pieces in to it and mix well to coat evenly. Heat a pan with oil and butter. Add the marinated chicken pieces and shallow fry on low-medium flame until browned and cooked (don't over fry). Serve the chicken hot with slices of lemon and green chutney.